If you’re reading this page then you probably need a plumber right this minute! We know that plumbing problems come up at all hours of the day and night and on weekends too, and they need to be addressed whenever they happen. That’s why we offer 24 hour plumbing services. While other plumbers make you wait until their business hours begin before you can even speak to somebody about your problem, we offer immediate access to a plumbing professional who will answer your call and come out and fix your problem so that you can get back to your normal routine. No more living with a clogged drain or without hot water through an entire weekend. We’re there when you need us, no matter the time or day. There is never a convenient time for a plumbing problem to appear, but in most cases they seem to pop up at the worst possible time… your garbage disposal stops working on a Saturday afternoon, right as you’re preparing to host a big dinner party, or your hot water heater breaks the night before you have a big interview or presentation to make at work. Our 24 Hour plumbing service makes these types of worries a thing of the past. Call us whenever you need us and you’ll find a friendly voice calling you back and telling you that we can be there whenever you need us. Our plumbing technicians are highly skilled, reliable and friendly. We work quickly to get to the root of your problem and get it fixed so that you can get your home and your life back to normal with a minimum of downtime or fuss. We’ll figure out exactly what the problem is, explain what needs to be done, tell you how much it’s going to cost to fix it and then get the problem taken care. Having your home’s plumbing in working order is one of those things that we all take for granted right up until the moment when something breaks – and that’s when you need us the most. Being able to rely on our 24 Hour plumbing service makes your life easier when you need it the most, and that’s why we provide it. 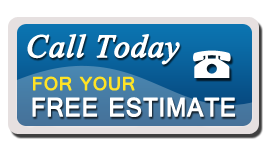 We are dedicated to providing you with high quality professional plumbing services that you can count on so that you’ll use us whenever problems occur, and tell your friends and neighbors about us too.